Stunning townhome ideally located in a prime Lemont location and highly sought after subdivision. Sophisticated decor with an emphasis on timeless elegance and a neutral palette. Beautiful first floor master suite with private bathroom. Formal dining room and living room with soaring ceilings. Gleaming hardwood flooring. Chef's kitchen with ample cabinet space, stainless steel refrigerator and new stainless steel range. Comfortable family room. Enormous loft area perfect for home office and offers the potential for an additional bedroom. Enormous basement offers room for future recreation, exercise and gaming areas. Large patio. 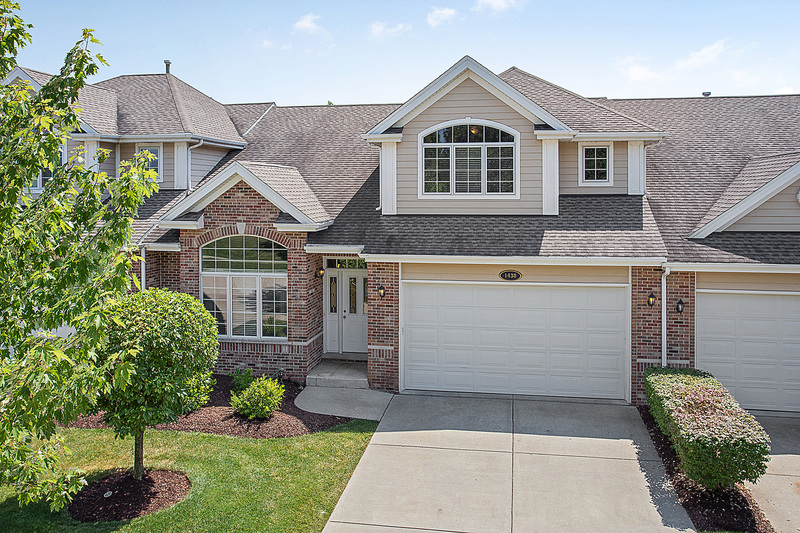 Conveniently located near shopping, dining, Metra, parks, world renowned golf courses, Blue Ribbon award recipient, Lemont High School and so much more! Wonderful townhome is an excellent buy in this price point.